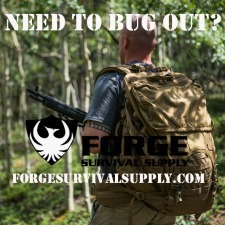 Whether you are practicing bushcraft or just out camping. A good hiking staff will serve you well. It can add to your stability while walking or hiking and help you avoid putting your feet on something that might bite. Combined with a good machete and you've got the perfect camping combo. A plain old broom or mop handle with a bicycle handlebar grip stuck on the end makes a great DIY hiking staff. Add a piece of cord for a wrist loop and it's ready to go. All you really need to do is saw the old handle to a comfortable length for ease of use. 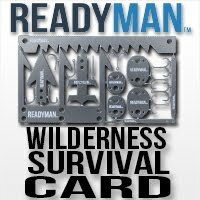 I have one with a spiked tip and another with a blunt tip depending upon the type of terrain that I'll be doing my hiking or walking. These are cheap and simple to make. A hiking staff along with a good machete is a perfect combination for camping or bushcraft. Can't beat a good stick! Great post Riverwalker. If you could make the tip reversable,you could add a spear for fishing! Or just find a frog gig to slip on. I feel a lot better about him walking around with this stick, he is much more stable and he can use it against snakes and other critters. You can always use your machete to chop up a dead limb to make one also! Great idea! I've got a frog gig. I just need to figure out the best way to add it to the stick. Good to hear from you! Glad your Dad has one to use now. That duct tape sure comes in handy! Now I am so used to walking without a stick (work)that unless the terrain was real bad I wouldn't use one. They are pretty darn useful though. One of my walking sticks is tapered on the end to fit into the socket of a fair size spear head. Maybe not a bad idea on your friend's spread that the big puddy tat strolls through. "Pokin Sticks", and "Hittin Sticks", some of man's earliest levers to advance the species (or lay competitors low). You probably pack one of your metal clubs when you are in that kind of country being as wise as I know you are. No, Golf fans, thats not what I am talking about. Now that I,m older there primary function is for stability but still good for pokin' at holes and a lot safer. Had my 30-30 and a 9mm auto pistol just in case. The most dangerous part of our little tracking expedition looking for the cat was when they decided to let Mrs. RW drive the jeep up and down the ravines. Believe me when I say I was holding on to the rollbar for dear life! That's a great tip! Going to do this as soon as I get a chance. Thanks. Simple, inexpensive and multi-use. Nice. Many a time I've made one from a dead tree limb or branch when I've been out hiking. There are too many places in the wilderness you may want to poke with a good stick before you step on or grab the wrong thing! I've tried all the aluminum and hi tech graphite styles and none provide the support of good old fashion wood. Great tip for all of us “old school” hiking enthusiast. Like Teddy Roosevelt said " Walk softly and carry a big stick."